Yes, “popcorn lung” is actually a thing. Another negative study about e-cigarettes. This one comes from researchers at the Harvard School of Public Health (If I had the energy, I’d check out Michael Seigel’s e-cigarette apologist blog to see him point out how the researchers at the Harvard School of Public Health have no idea what they’re doing … anyway, I digress.). Popcorn lung doesn’t actually make lung tissue look like popcorn. It’s a name given to a disease called bronchiolitis obliterans. 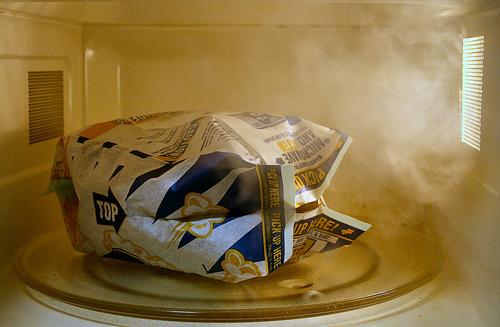 It got the name “popcorn lung” because scientists discovered that chemicals called diacetyl, 2,3-pentanedione and acetoin, which are used in artificial butter flavouring for popcorn, can cause lung disease, especially in people who work in packaging plants. Well, guess what? Those sweer and surgary e-cig flavourings also give off large amounts of diacetyl, acetoin and 2,3-pentanedione. This study found that these chemicals are found in e-cig vapour in 47 out of 51 flavours. That’s 93 percent.. Nice. OSHA has strict guidelines to how these chemicals are handled in workplaces, but they just show right up in e-cig vapour. Bronchiolitis obliterans was first brought to light in 2000 when eight employees at a popcorn plant in Missouri developed lung illnesses. It causes dry wheezing, a cough and shortness of breath. One of the effects of this disease is that air can actually get trapped in the lungs because of obstruction from scar tissue or inflammation. The overinflation of the lungs limits the ability to breathe in fresh oxygen molecules. There was actually a high-profile case of some guy who ate microwave popcorn every day for 10 years developing this disease. He won a multi-million lawsuit over it. And dang, I always liked popcorn. Now, I’m paranoid of it. At least microwave popcorn. So, this is part of a growing body of evidence showing that e-cigarettes are not completely benign and harmless. 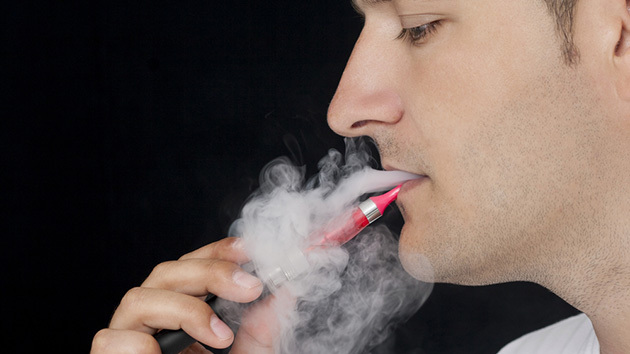 Other studies have shown that e-cig vapour contains a lot of formaldehyde. Are they still safer than cigarettes? Do some former smokers swear by them? Sure. But, they certainly aren’t inert. And keep in mind, they are completely unregulated for the moment, in particular there are NO rulles whatsoever about sweet and surgery e-cig flavourings, which a lot of tobacco control advocates are convinced are used to entice teenagers. And it certainly seems like the more e-cigs are studied, the more nasty toxins are found contained in the vapour. It wasn’t that long ago that the industry and e-cig advocates were insisting that e-cigarette vapour was entirely, wholly innocuous. In short, this means that e-cigs absolutely, positively must be regulated and studied further, and more must be done to keep teens from being enticed by e-cigs (ie, cracking down on e-cig marketing to teenagers.). Much is still not known about this relatively new product.